Ah, the start of a new month...aka the start of a new shopping budget! 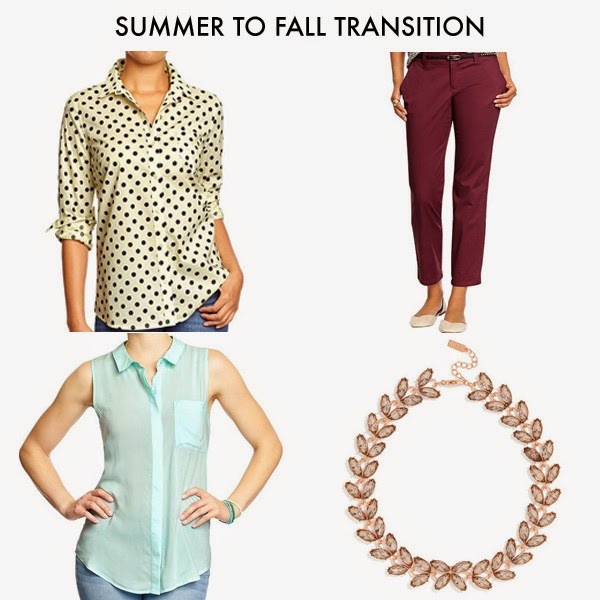 Thinking about the upcoming transition to fall (I know, how can I be talking about fall already?!) and all the sales that are happening right now, I wanted to get a few new things to freshen up my wardrobe. Keep in mind I don't really need any more clothes, so none of these are "investment pieces" but also aren't super trendy so I can get a lot of wear out of them. What's great about these pieces are they'll work for all seasons and are work appropriate—because when you spend 40 hours a week at an office, you have to make sure most clothes will be appropriate to wear there. These and a plain white tank totaled $45 after my $20 coupon, 25% off, and free shipping! I've been trying to do a one-to-one replacement ratio with my closet—for every new item I bring in, I have to donate something I don't wear very often. I'm also trying to cycle my clothes more and not just wear the same things all the time. I'm not sure how easy that will be once these purchases arrive, but we'll see.